The clinical question remains as to whether stress is a trigger—or at least an exacerbating factor—in psoriasis and if so, how this should influence treatment approaches. Drug survival was higher for ixekizumab than expected based on the results of secukinumab drug survival, even though secukinumab-treated patients had been treated with significantly fewer biologics prior to starting this drug. Successful treatment of the dermatologic symptoms of psoriasis with adalimumab also positively affects a patients’ quality of life and psychological functioning. Investigators assessed the risk for atrial fibrillation and major adverse cardiovascular events potentially related to using ustekinumab vs tumor necrosis factor inhibitors in patients with psoriasis or psoriatic arthritis. The Dermatology Life Quality Index may underestimate disease severity in patients with psoriasis who respond “not relevant” to one or more items. Investigators performed a synthesis of efficacy data from previously reviewed drugs and updated their analyses to include clinical data for new biologics. 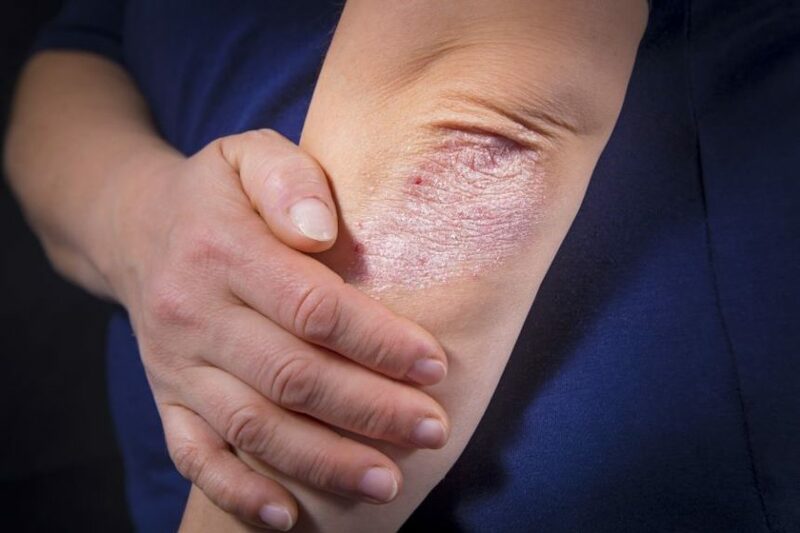 A fixed-dose combination lotion comprised of halobetasol propionate 0.01% and tazarotene 0.045% (HP/TAZ) is more effective for treating moderate-to-severe plaque psoriasis than either component alone. Researchers completed 2 post hoc analyses of large, double-blind trials examining the efficacy of HP/TAZ combination therapy for clinically meaningful outcomes. In real-life conditions, drug survival rates are higher for ustekinumab than for adalimumab and etanercept for all treatments and types of psoriasis in children. In some patients with plaque psoriasis, an intraclass switch from one IL-17 antagonist to another may be an effective treatment option. Tildrakizumab therapy was examined in patients with moderate-to-severe plaque psoriasis.